Trump did more to reform healthcare last week than the GOP Congress has done all year. Given the much broader power and authority the Congress has, that’s a bittersweet reminder of wasted opportunity by Congress. Sigh…Trump’s two healthcare related executive orders don’t invalidate Obamacare, but they do expand some loopholes outside it. Avik Roy in Forbes gave a pretty good summary of both executive orders in: Sorry Everybody, But Trump Hasn’t Instigated the Obamacare Apocalypse. There seems to be more actual reform in that first executive order than in any of the GOP healthcare reform plans. Short term plan lengths have gone from being valid for 3 months to a full year, going back to rules that existed in…2016. Yes it was an Obama executive decision to shorten the length they could be offered, no doubt to push more people on to the exchanges. The other executive order, to suspend payments to health insurance companies to cover low income premiums and deductibles, has resulted in much weeping, wailing, and gnashing of teeth, but Trump was merely going along with a US District Court decision from last year that ruled the payments were improperly funded without appropriations from Congress. Reason Magazine’s take, By Cutting Off Obamacare’s Insurer Subsidies, Trump Might Help More People Get Health Coverage, has a counter-intuitive view that the cutting off subsidies, contrary to Democratic spin, won’t make much difference to poor people covered under Obamacare since the coverage is mandated anyway, and any increase in premium costs are covered by the Obamacare purchase subsidy. So I recommend both articles. You’ll end up knowing more about these healthcare changes than any commentator on MSNBC! Given how well I did with my 2016 Predictions I thought I would give it another go and see what I thought would be likely for 2017. At least 3 terrorist attacks in Western Europe resulting in double digit casualties. Why? Because Muslims will continue to be Muslim. Angela Merkel wins the Nobel Peace Prize. Because that is exactly the kind of retarded thing the Nobel Prize Committee would do. Most of the ObamaCare (ACA) legislation will be repealed. I say most because there are a few items that may be either too politically popular (keeping kids on their parent’s plan until 26) or were already part of Republican replacement plans (pre-existing conditions). The FED will raise interest rates by at least three-quarters of a point. The FED just recently raised the short term interest rates by a quarter of a point, the first increase in 2016. This strikes me as a totally political decision, since Janet Yellen was a target of Trump and I’ve no doubt she’ll raise rates at least another ¾ of a point in 2017 in hopes of stalling the economy to punish Trump for his impertinence. Articles of Impeachment against Donald Trump will be introduced in the House. Why? Because the Democrats are already talking about that now. Waiting until Trump is President is merely a formality. There will be at least one assassination attempt against Donald Trump this year. When the media has been promoting the “literally Hitler” meme for the past year, would it be surprising that some earnest liberals take the Dead Zone option and try to take Greg Stillson out? Marine Le Pen will be elected President of France. Although Michel Houellebecq’s novel Submission predicted an establishment deal to elect a Muslim political party winning the Presidency of France, in real life the current populist uprising may hit the French shores quicker than you can say The Camp of the Saints. Brexit, Trump, and the constant Islamic terrorist attacks may cause a public revulsion where people will just say, “enough.” In some ways, that would be a bigger deal than Trump winning the Presidency. The French establishment has been fighting populist nationalism a lot longer than the American GOP-Democratic-Media alliance. So if that goes, dominos will fall all over Europe with dismal prospects for the EU. That would slide in nicely with another prediction of mine, that the EU will be mostly undone by 2020. Not really a prediction, more of a certainty, but every foreign policy decision made by the Trump White House will be called either idiotic or ignorant. On My Burwell Bet: I Win! In a totally unsurprising turn of events, I was proven right once again. The Supreme Court upheld, not the actual text of the law, but the IRS and HHS interpretation of the law that allows subsidies paid out through the federal exchange rather than just through the State exchanges, as the actual law requires. So in spite of the actual text of the law limiting subsidies to State exchanges, I predict that the Court will find against the plaintiffs and rule that the subsidies can pass through the Federal exchange. I did think that Justice Roberts would, if given enough cover to keep the subsidies might vote against it to show his “independence” however even with a court majority, he either wanted to be counted with the free stuff gang, or he just wanted to shoot a bird at conservatives who criticized him for his last Obamacare decision. This was a simple case. The text of the law was pretty specific; there were multiple Gruber statements and statements by others involved in the law that that it was specifically written that way to force States to start their exchanges, and it didn’t matter. Politics trumped law. The key phrase is “an Exchange established by the State.” So since most States didn’t set up an exchange forcing people into the Federal exchange, none of the subsidies given for health plans through the Federal exchange are legal. The ACA plainly stated that subsides could only go through State exchanges and the IRS, which crafted a rule allowing subsides through the Federal exchange, overstepped its boundaries outside of the text of the law and is in error. This should be an open and shut case. The IRS violated the text of the law, it was wrong, and subsidies should be halted from going through the Federal exchange, right? I don’t believe the law has anything to do with how the Supreme Court arrives at decisions. If there were any questions to that, the way the Court handled the individual mandate should settle them. The Court is a political animal. If it were ever truly interested in a just and reasoned weighing of law and the Constitution, those days are long passed. Of course that makes it easier for me to predict the Court’s behavior. I was right because the Court decision (Robert’s changing his vote) was purely political. So since I’m feeling cocky, I’ll go ahead and lay my marker down now. So in spite of the actual text of the law limiting subsidies to State exchanges, I predict that the Court will find against the plaintiffs and rule that the subsidies can pass through the Federal exchange. The 4 liberal judges will of course vote to uphold the subsidies because…Obama. The magical swing vote will either be Kennedy or Roberts. 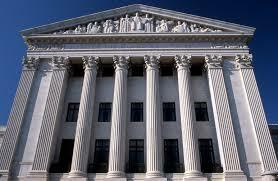 If Kennedy votes against the plaintiffs, then Roberts, to save the law, will vote for. But if Kennedy votes for the plaintiffs; abolishing the Federal subsidies, then Roberts will vote against, since he will then have a free vote to show his independence; as long as it means nothing. Of course, I could be totally wrong and the Court could surprise me. But no breath holding on my part.